Love and Care), Michelle Obama (Grace and Dignity), Maya Angelou (Courage and Commitment) and Louis Hay (Self-care and Delight). • There is a Connection that is available to all of us. • There is an interesting connection between women and God’s power. ShivShakti. • Shiva is one name given to The Divine that means to give benefit. • Shakti is power, the soft inner power and it is associated with women. 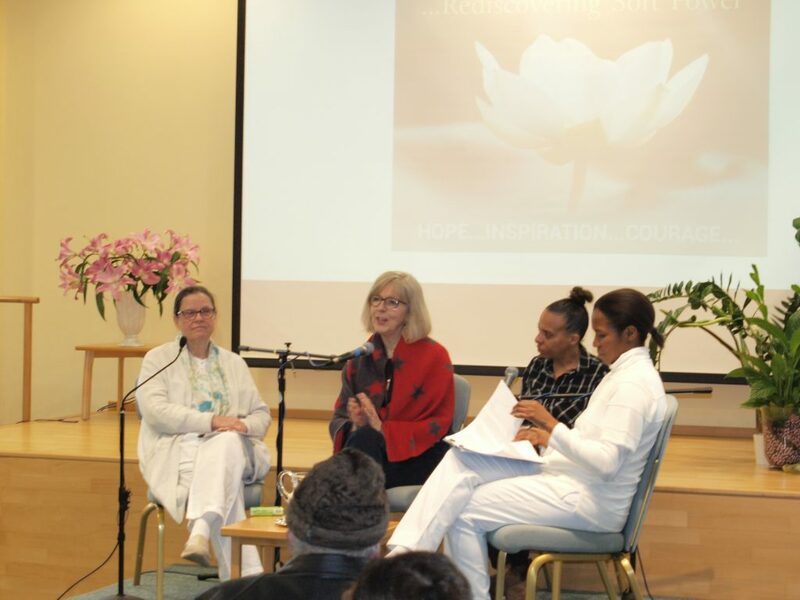 • The role of women today is paramount and has a pivotal role to play at this moment in history to bring about transformation so that love, compassion and care come back into all our systems. • Where the ‘humaneness’ of humanity has disappeared women can bring it back when they awaken through the One above and allow their inner qualities to emerge. o The power of love and truth – when there is a principle we believe to be true we stand by it. o We have seen in reality how peace, love and joy can work and we are waiting for the tipping point. When we connect together that connection can help our own personal development and the power of this minority is able to shift the energy of the world. • I believe the future is a very beautiful one. • There may be more chaos and that is ok as it is a sign of change because the power of peace and love is definitely the future. • This is the future we hold and experiment with in our lives. There is a world of love and truth just ahead of us and waiting for us to be it and it will happen…. Sister Jayanti conducted a mediation on the power of love reaching us from beyond and awakening and transforming the entire human family.